This seductive bedroom in Hotel Monte Cristo denotes the luxury and cosmopolitan style of 19th century Paris. 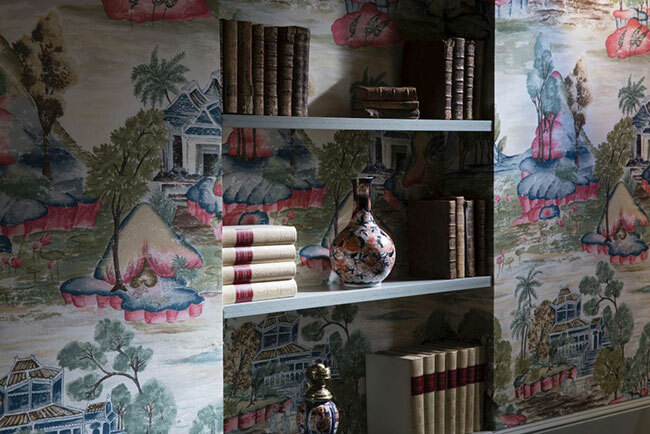 Period style wallpaper continues behind the shelves to liven displays of books and antiques. The abundant cultural experiences, and the heady spirit of adventure that reigned in 19th century France created a unique atmosphere that will always be celebrated. A tumultuous time in history became the backdrop for one of literature’s most famous characters. The Count of Monte Cristo, penned by Alexandre Dumas, is a French classic that is still being read all around the world. The character of the Count, aka Edmund Dantes, closely matched the recklessness, folly and penchant for travelling that was Dumas’ lifestyle. When I was young, I didn’t read the book. However, my initiation into the story was equally as compelling as I watched weekly episodes of The Count of Monte Cristo on black and white television. I was spellbound by the action, the fearless journeys, and the bravery of this hero amidst the turmoil of a rebellious France. When I discovered that there was a hotel in Paris called the Monte Cristo, www.hotelmontecristoparis.com, I had to investigate. The hotel is a tribute to the 19th century in Paris as represented by Dumas. Residences of the day were flamboyant, showing off riches with decadent upholstered furniture and window dressings draped in jewel-hued velvets and patterned satin brocades. 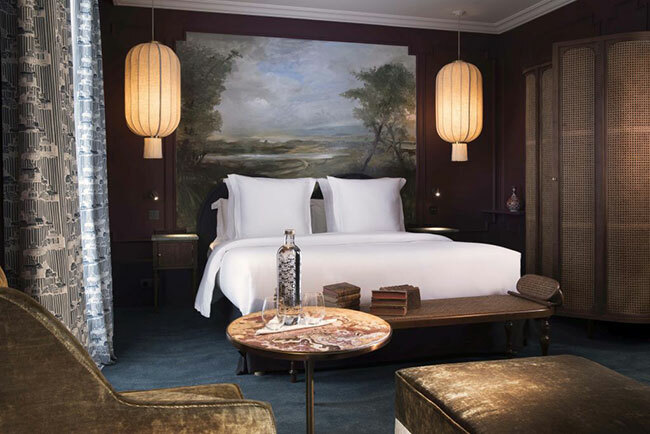 Hotel Monte Cristo’s rooms have each been treated to lavish details that reflect a cross-section of the era’s trends that include a marvelous mix of themes that capture the essence of romance, travel and luxury. The bedrooms are inspired by the Orient; Asian styled lanterns, room screens, and decorative vases bring travel to mind. Rich purple hues, marbled patterns and dark wood panels are seductive choices you can utilize in your own home. Award-winning artist Christoff Debusschere “knows how to capture the light and create the ambiance of bygone centuries”. His talented hand is seen in the painted murals, portraits, wall canvases and ceiling in each room. The tranquil scenes depicted in the murals have become popular again in today’s homes, where nature’s omnipresent beauty is shown off indoors to keep us connected by day and night. 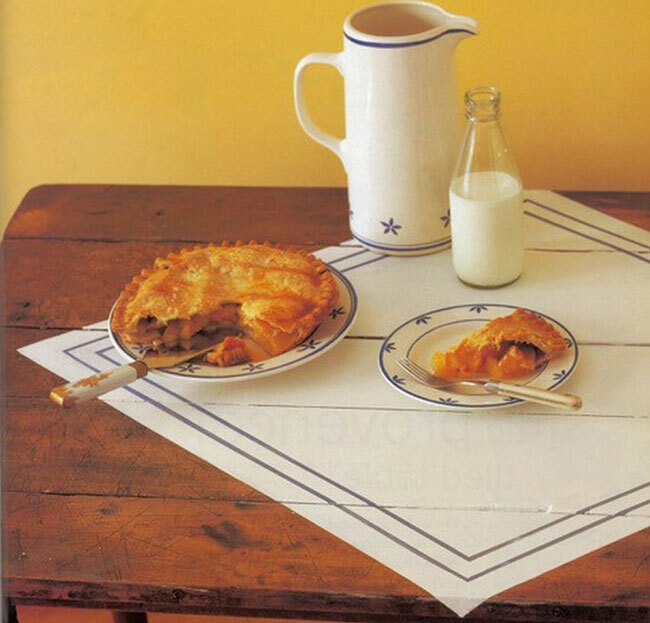 When embarking on your decorating story, it can be helpful to work around a theme. 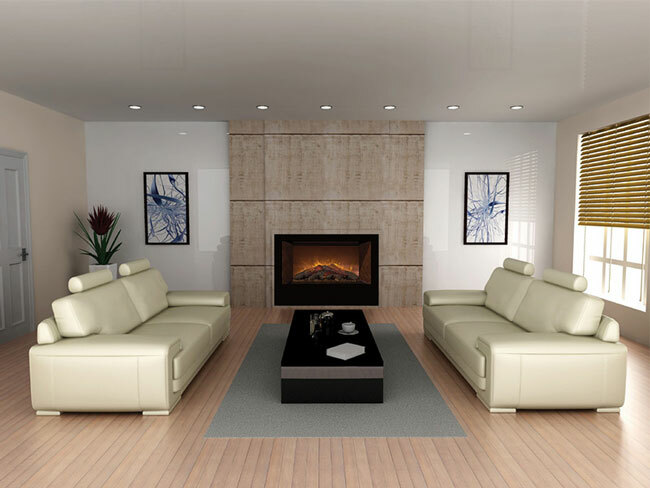 It can be a specific era that intrigues you, or a colour mix that pleases you. This gives you a starting point that you can build on over time. Take favourite hobbies or lifestyle pastimes into consideration using photos, artwork and ornamentation as illustrations. In the 19th century taxidermy was a popular trend; stuffed and mounted animals and birds were often part of a room’s decoration. This penchant for preserving wild life is part of the hotel lobby’s stunning decoration. Today it might be photos and memorabilia collected while traveling.